Why Children Desperately Want Fad Toys : Shots - Health News Today it's fidget spinners, but soon it will be another little gizmo that children dearly, desperately want. The complicated social dynamics of childhood are one big reason. 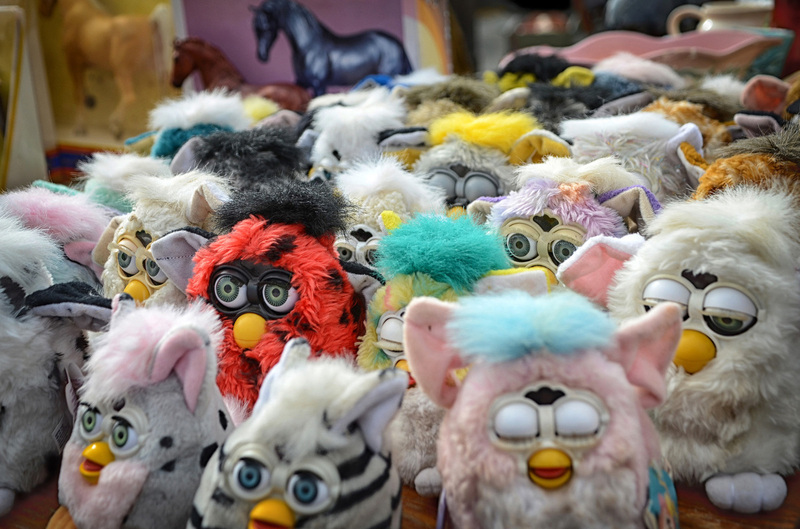 Furbies were a thing in the late 1990s. But does anybody crave one now? First, it was Pokémon. Then came a special trick yo-yo, Magic: The Gathering cards, and some kind of "thinking putty." Over time, my 9-year-old's obsessions have changed. But one thing has remained consistent: When he wants something, he really, really wants it — often because, in his words, "everyone else has one." He's clearly not alone in his desire for the latest fad toy. From the pet rocks and Tickle Me Elmos of decades past to today's fidget spinners, certain toys have a way of taking kids' daydreams by storm. And while plenty of research has probed the secrets of viral products, a more primal question lingers: Why do kids want fad toys so badly in the first place? That intense wanting likely comes from a combination of marketing and psychology that taps into an inherent human tendency to look to others for information about the value of things, says Margo Bergman, an economist at the University of Washington, Tacoma, who has extensively reviewed research on fads to solve some of the most basic of mysteries about them. For example: "Why does Barbie celebrate her 50th birthday," she asks, "but Furby is dead to us all?" Underlying the comings and goings of toy fads, Bergman says, are complicated social dynamics that involve both people who are influential and those who are susceptible to influence. Adults are far from immune, she adds, though a unique set of traits accentuates the begging factor among children. "Kids especially, but people in general don't always know what's cool," Bergman says. "But they know who is cool." Toy fads in many ways resemble financial bubbles, suggests economic theory. Stock prices and home values, for instance, tend to depend not on how much the products are worth but on how much people are willing to pay for them. Those prices can escalate until a bubble bursts. In a similar way, stuffed Beanie Babies once sold for hundreds of dollars each. Today, Bergman says, it's hard to even give them away. The follow-the-herd mentality that fuels fads emerges from a basic problem that has existed since the dawn of humanity, Bergman says: We can't be experts at everything. And nobody has the time or energy to make every decision that needs to happen every day from scratch. For the sake of efficiency, it makes sense to look to people we trust for information — about whether a berry is safe to eat, for instance, or if it's worth paying tens of thousands of dollars for a vintage Cabbage Patch Kid. 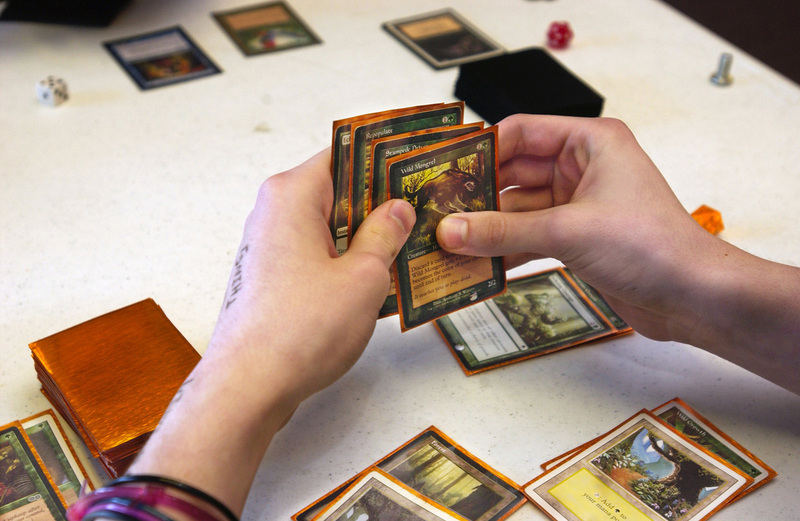 Creators of Magic: The Gathering say 20 million people worldwide play the card-trading game. We are social creatures, adds Vivian Friedman, a clinical psychologist at the University of Alabama School of Medicine in Birmingham, who also writes a parenting advice column for The Birmingham News. And fads are often powered by a desire to fit in — by looking like everyone else or having what everyone else has. Children are less prone to thinking about the abstract dynamics involved in their social worlds than are adults, Friedman says. "Children have less of an ability to say, 'Well, I don't need this toy to fit in because I can tell an interesting story.' "
Kids are also attuned to novelty, Bergman points out. Compared to adults, they are less likely to have developed long-term planning skills and mature ideas about delayed gratification, making them all the more excited about whatever is new. Toy developers tap into that psychology while also trying to emulate patterns that have produced blockbusters in the past. Extensive analysis of the Beanie Baby craze in the 1990s, for example, has pinpointed key features that led to the toy line's success, including their collectivity, their production in small batches that made each model rare, and their low price. But why Beanie Babies and not some other limited-run collection of toys? That's where social interactions come into play, Bergman says. According to her research, fads only get started if they get a boost from key influencers, who can be community members or celebrities. Then, as long as at least 15 percent of people in a group are susceptible to fads, the trend can balloon. Not everyone is vulnerable to getting caught up in the hype, perhaps because they're too cool or not cool enough. But when susceptibility levels exceed 65 percent in a group, Bergman says, a fad is more likely to have lasting power. The driving force, she says, comes from a tendency for people who don't trust their own judgment look to others for wisdom about how best to make decisions. She's currently looking at the same psychological phenomenon to understand public health trends, like the enduring belief among some people that the MMR vaccine causes autism despite scientific evidence to the contrary. "We're so inclined to trust, and we have to be, because without that trust, society breaks down," Bergman says. But in choosing who to trust, she says, "we don't always do a good job." So, what's a beleaguered parent to do in the face of incessant begging for every new hit toy? One idea, Bergman suggests, is to help children learn to make choices by giving them an allowance so they can decide for themselves which products to spend their limited resources on. It may also help to explain to kids that their own value goes beyond what toys they have, and that their friends like them for who they are — because they're kind or fun to play with, Friedman says. "Redirect them," she says, "so it's not like, 'If you don't have a fidget spinner, [other kids] won't like you.' "
Sometimes it's OK to join in on a fad, she adds, with an emphasis on the occasional nature of giving in. When her kids were little and wanted "a stupid plastic toy" or some video game, she often told them they could have it if they could build it with LEGOs or other tools. As a result, her son taught himself to program so he could make the game he wanted. He later went on to earn a PhD in electrical engineering. "If it's a $5 spinner and they are all playing with it in school during recess, there's no harm in letting them join in and fit in," Friedman says. "But if you're doing that for everything all the time, you are failing to teach the child he is valuable not just for what he has." I plan to stress self-worth the next time my own kids beg me for the latest fad. I have a feeling that conversation will come soon. An earlier version of this story misspelled Margo Bergman's last name as Berman.